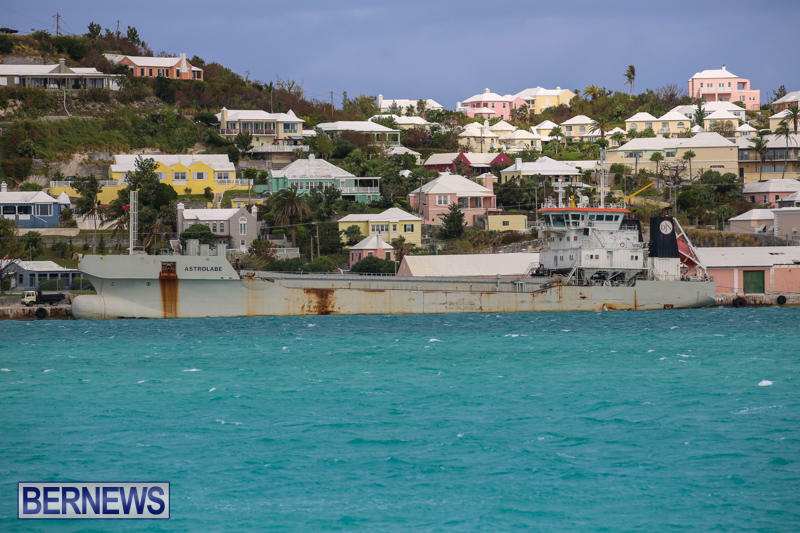 [Updated] The Ministry of Public Works said the widening of the North Channel — to accommodate the new generation of cruise ships — will commence at the end of this month, and the dredging will be a 24 hour, seven day a week operation and will take approximately one month to complete. 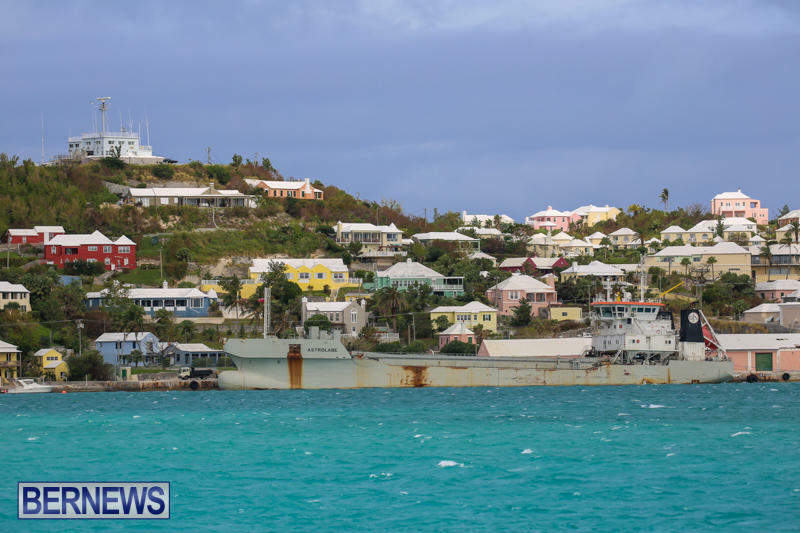 A spokesperson said, “The Ministry of Public Works would like to inform the public that the widening of the North Channel will commence at the end of October 2015. “The channel is being widened and dredged to accommodate the new generation of cruise ships, commencing with the 2016 visits of Royal Caribbean International’s Quantum class. “It is anticipated that the dredging will be a 24 hour, seven day a week operation and will take approximately one month to complete. A Notice to Mariners will be issued by Marine and Ports in due course. For more information, please visit www.channelstudy.info. According to the channel study website, the re-alignment of the North Channel has been agreed so as to minimise the impact to the coral reefs, dredging will commence in late October to avoid main coral and fish spawning season, the dredge spoils will be re-used in the landfill project at South Basin, and 598 corals have been relocated to adjacent reefs and are being monitored. BEST said they applaud the process engaged by Bermuda Environmental Consulting Ltd [BEC] as it involved stakeholders, with BEST and other environmental NGO’s being consulted early in the process. “We must remain vigilant that in the steps being taken to fit Bermuda to these mega-ships we take care not to make our Island less fit for ourselves and our preferred strata of visitors,” BEST concluded. Update Oct 22, 3.03pm: On a possibly related note the “Astrolabe” — which marine websites list as a “dredger” — is presently docked in St George’s. Photos below. I certainly hope that the Gov’t ensures Locals have the opportunity to find work on this project….might be a better way of stating your point…. oh rite – nevermind. Oh yeah, of course. Bermuda is full of unemployed dredgers. It’s a big thing here. wish you just get over yourself….country club guy! I know that people discover stones in their kidneys, but you write like you have them in your head. If it wasn’t for the Union many black Bermudians wouldn’t have the jobs they have today. That is a fact!!! Neither you or I can relate to what this group had to adore. Also stop the political ranting and grow up. At least Ross Perot didn’t need any notice. What will Ravran Twead say. Lord they will have a North Rock meeting. Verz dee funds cumin frum. Do we haiv annudah PPP or has hit bean putt howt to tandar. Lord I need a rum. Stooward Heyvird vill be hall ova dee hair. One thing about it’s clear that your a living a$$. Just the other day you bashed a blogger for writing posting extraneous gibberish, and here you are doing the exact same thing. Oh and Raymond Ray your nothing but a squirrel climbing the oba tree for a Nut. I would submit my real name you internet Troll, but since many of us bloggers work for the last 2 year government it wouldn’t be appropriate when sitting in meeting advising the Ministers. If this is representative of the educational abilities of those who advise the Ministers, we’re screwed. So true with a certain segment of the population that was taken when the arrogant OBA party took charge. All those mice that can’t relate tick dislike. Um, you should not be advising anyone! Yeah, I can see how your advice would be really useful. Where is the Environmental Impact Assessment? It is not available on the channelstudy.info website. The EIA is supposed to be a publicly available document, is it not? Don’t know where the hell you live but things change. Go down South Shore and see the fish and coral et al. Its a channel !! Cheeeese! Maybe there isn’t one. Gov is looking solely on “$$$Money$$$$” generated from the bigger cruise ships and AC35 rather than the environment. Bigger cruise ships = more trash we have to deal with, more sewage we have to deal with, more transportation issues we have to deal with, poorer air quality in Dockyard we have to deal with, crowded beaches, crowded water space activities. But they also would give us more money as well, more arrival taxes, bus and ferry fare income, taxi drivers will be happy, tour operators will be happy, and shops and businesses will be happy. I think allowing bigger cruise ships are a quick fix to help our economy and to destroy our environment. We should focus more on the “Airport” and THE AIRLINES to bring in people, “not the channel Bigger ships and Dockyard”. Oh yeah , where`s Stuart Hayward, just like he`s silent on that environmentally damaging and expensive airport project. What about those embarrassingly long Bird baily bridges. All we need is a simple concrete fixed structure all past, and present governments seem to ignore that unsightly temp structure. What do the Tourist`s think?? Kinda like the Big Dig in Boston Dig, huh? Very sad indeed. I can remember the day when we shunned the cruise ships and now here we are tearing apart what little natural habitat we have left to cater to them. Stuart Hayward was bent out of shape when Belcario Thomas wanted to put a bar on a beach! Where is he know? How about BUEI? Quiet. The Aquarium? Crickets…Blue Halo? Forget about it..
Ok Great… now what about St. Georges? Can the same be done there? Bie wait your turn St Geo is on the 30 year hotel plan, but when they start to dig the Dunkie needs to make sure Craiggy is not the Public Works Minister! We don’t want Desarrollos Gate. St Georgians do not want their channel or pass or whatever its called widened at all. Only repeating what they shout from the mountain tops every time someone speaks on the subject. Someone gonna make a lot of $$$$$$$$$$$$$$$$$. Yes you’re right, the whole of Bermuda. Welcoming Anthem of the Seas will bring one of the biggest vessels on the ocean here with thousands of visitors. Great progress. If we don’t we get left behind. Dredging required to get the benefits for years to come. I heard talk a while back that RCCL were assisting, as they do in other destinations, although not confirmed, we might not be paying so much up front but possibly a deal where they get concessions in return. We will have to wait for details. Done deal. Why in the world would a dredge ship with its own fully trained crew onboard hire untrained unneeded Bermudians? Whew!!! Lots of dislikes there. Not surprisingly, no responses for the dislikes. So, one of you, please explain why untrained, most unlikey unwilling to work the hours on a ship that operates 24/7, would or should be hired on for a project that should only take a month? They are not doing anything as complex as building a roundabout or a wall you know. Carefully look at the excitement, the support for a Gov’t that is willing to “carve up the country” when 5 years ago the then PLP Gov’t met fierce protest over Southlands Juhmeirah project tunnel.. Look at Grand Atlantic, a housing complex built to benefit Middle Income Bermudians (derailed over fear of the cliff it was built on) now becoming a Hotel (I personally wanted to purchase but was convinced it was unsafe). BTW, did anyone protested the complex built next to the dump?…. Look at what they tried to do to the Lamb Foggo urgent care centre, a much needed great investment for the people of the east…..look at the Waterfront Project… Look at the support the new, Overpriced, Un Tendered Airport is receiving from a certain segment. But with the new cruise dock in Dockyard that went over budget, the PLP was bashed to no end… Where did the concern about Gov’t Money go? Is the Airport 250+million deal the best deal? No one cares? Hell, the Airport is a project that is not critical at this time! Dredging the cut is not critical! (The Breakaway is the 4th largest ship in the World and it navigated through just fine, we can tell RCCL we will pass on the Quantum of the Seas) I hope people are watching closely what is going on here.. This Gov’t is so desperate to say “See what we did,” vote us back in!! All while butchering up the country/handing off revenue sources to foreign hands and plunging us into more debt..And these folks are ‘A’ Ok with this… Pay attention people. By your words you are not PROGRESSIVE. Funny in a sad way to hear the plp preaching from high about money matters. Budgeting certainly wasn’t a concern for them whilst in power. The books prove it. Left with a bag of rocks the OBA is trying and succeeding to do what it can with limited means to improve Bermuda’s prospects. Totally unlike the plp whose only method was borrow and spend. If you can’t get that, you are choosing not to. You seemed to have veered off the point mixitup was speaking on. Where does he say he is PLP Lois? He didn’t – he is making an example of the media led and fueled hysteria that would have one party’s faithful cheer on what five years ago they would have bemoaned. You just assumed because of the content of his message, which is simply an expose of the hypocritical nature of the body politic on these devils isles…that he is PLP. He could be like me and have pity on you all…useful idiots. Exactly @theunamed… I just choose not to run around any mulberry bushes with these ppl…my time is too valuable. Who, exactly, “convinced” you that Grand Atlantic was “unsafe”? Serengeti don’t bore me please..And don’t act brand new. Question too hard for you? Or have you been making life decisions based on comments made by anonymous posters on websites? This is a big project that will raise a lot of questions around filling the South Basin. I understand that there is not enough fill from this dredging initiative to complete the South Basin so fill will come from Nova Scotia. What efforts are bring made to ensure the fill from off island is clean and will not create collateral damage within our Bermuda ecosystem? Will the Environmental Impact Assessment of foreign fill be made public? 2) BEST has contested at least some of the south basin development and it has to go to court. Read the Deloitte report it gives the cost estimate at $14M. The report also says Royal Caribbean has offered to cover $15M of the cost if they get first dibs on scheduling. That would mean Royal would have control of Dockyard arrival and departure for their ships. Bermuda can’t handle an increase in cruisers! Again the emperor is naked. But I do agree with your second point. The total price of an average cruise is $1779.82 per person, a 3.5% increase over 2014. The average per passenger per day spending is projected to be $222.00, with $168.43 ticket price and $53.57 on board spending (average cruise duration 8.0 days, median duration 7.0 days). Considering that over 75% of cruise passengers are from the US and Europe – who both coincidentally have the fastest rate of middle class shrinkage it is (not entirely) safe to assume that revenues in this travel sector will diminish as well, leaving us with a nice pitch but no teams playing…so to speak. Thanks for the info sounds like a fair trade to me. I suppose some would prefer to either not progress or borrow more money that we cannot afford to pay back. Sorry I forgot this, Deloitte report also says labour and equipment would not be be local.